Being a genre-switching game in a beloved series is a tough gig. 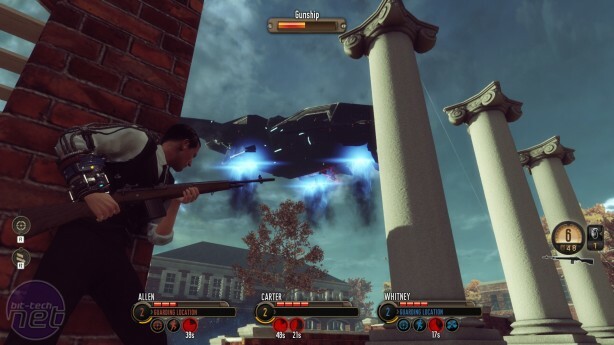 2012's first-person reboot of Syndicate bombed more than a B-52 crashing into a swimming pool, while other examples such as Halo Wars and Command and Conquer: Renegade fared equally poorly. The Bureau has it especially hard. It's been plagued by development issues, and now must follow Firaxis' more traditional XCOM reboot which proved more popular than Stephen Fry giving out free iPads. But can it overcome these obstacles, and demonstrate that blasting Sectoids is as much fun from third-person as it is from an isometric perspective? The Bureau has problems. Lots of them. It seems to want to be Mass Effect but also XCOM but not too much XCOM and oh perhaps a little bit of Gears of War would be nice wait hang on what were we talking about oh yes bananas. It simultaneously pulls in about seventeen different directions, and predictably ends up spreading its systems too thin, failing to excel at any of them. But that isn't the Bureau's most damaging issue. No, what really hinders 2K Marin's reboot is the simple fact that it is incredibly, crushingly bland. It seems impossible. The Bureau is set in the sixties - the golden age of espionage, where every spy wore a trilby and a trenchcoat and had a voice with more gravel in it than a Wu Tang Clan music video. It was also the golden age of sci-fi, and alien conspiracy theories. It's got lasers, and a power that enables you to throw your own pet blob. How can this game be dull in any conceivable way? And yet it is. You play Agent William Carter, who after a Blitzkrieg assault on Earth by an alien force known as the Outsiders, is recruited by the super-secret Agency known as the Bureau to take the fight back to the aliens using only a handful of specially trained soldiers, snipers, medics and technicians. It's a typical XCOM set-up, a small band of massively outnumbered special forces operatives battling it out against a technologically superior enemy. 2K Marin certainly know what makes XCOM interesting, but they don't seem to be quite so sure about how that makes it interesting. 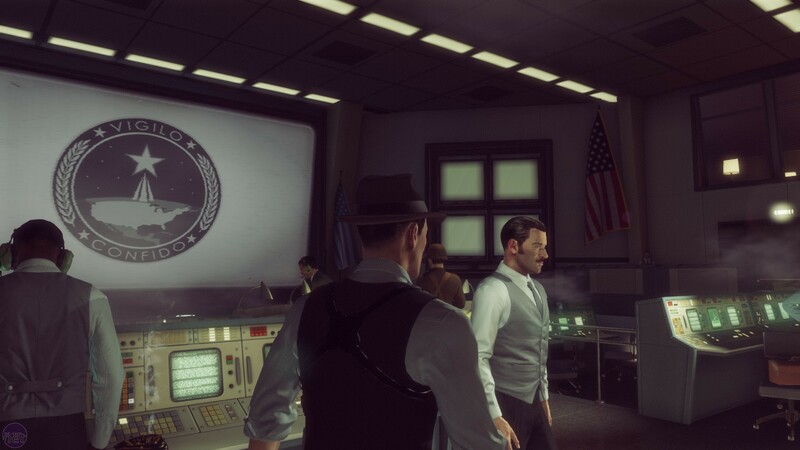 Take the Bureau's Headquarters itself, which acts as a hub for the main missions and a place for you to talk to characters and learn about what's going on. There are two problems. Firstly, what's going on is that aliens have invaded and need to be sorted out, and that's more or less the sum of events. Enemy Unknown explained this to you in short, sharply acted cut-scenes. The Bureau explains this to you in reams upon reams of pointless dialogue read out by voice-actors who seem to have been injected with horse-tranquilizer. The Bureau even features a Mass Effect style dialogue wheel that has absolutely no reason to exist. 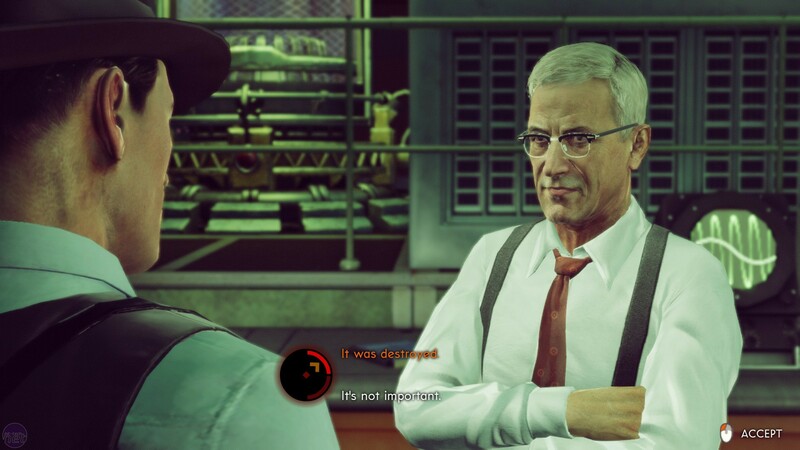 In the first seven hours of gameplay I came across one significant dialogue choice, and that was regarding the life and death of a character The Bureau had given me no reason to care about. Everything else was expositional word-vomit.